You can purchase our limited (1,000 copies) Kickstarter edition hardcover book right here for $24.99, but for a limited time, for every book you buy at full price, you get a second one for 50% off! Just like with our normal offer, each book will come with a greytone marker sketch by author Jim McClain. The book(s) will ship wrapped in bubble wrap in a Bags Unlimited comics mailer and sent USPS Media Mail. Each book will still come signed with a warm gray character sketch on the title page by creator Jim McClain as well as two Solution Squad bookmarks. Use the “Buy Now” button below to go to use PayPal as our secure payment option. You can buy up to six copies per order, and each order will be shipped for just $5.00. If you need more books, just complete another order. This is the lowest price we’ve ever offered on this award-nominated book! Want to use Solution Squad in your classroom? Here’s how you can do it quickly and cheaply: Included in this package is a 113-screen digital adaptation of the very first comic book story, entitled “Primer,” in landscape format, perfect for classroom projection. This story introduces the Solution Squad characters through the eyes of their newest teammate, Radical. Students learn about the Squad even as Radical does. You also get 25 pages of lesson plans with reproducible activities, aligned with Common Core and adaptable to various state standards,to explore prime numbers and to reinforce student learning! All of this is available for only $4.99! 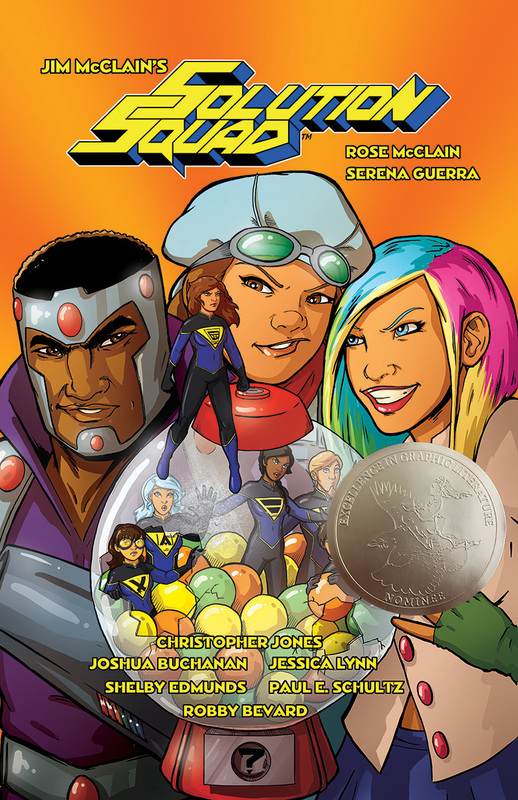 Here are the brick-and-mortar outlets carrying the Solution Squad graphic novel! 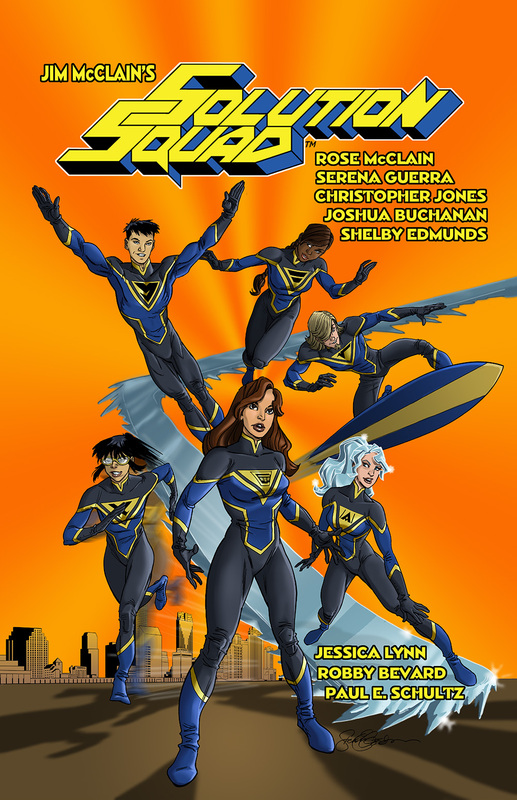 You can also get Solution Squad#1 digitally on ComiXology! Want Solution Squad in your store or classroom? Click Here to contact Jim!